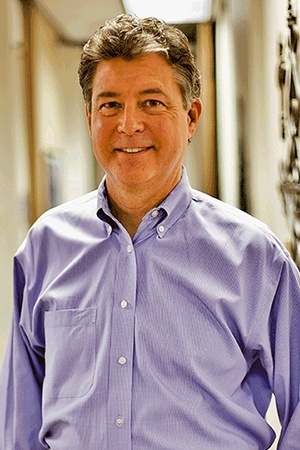 Dr. Etheredge graduated from Lee High School in 1974 before choosing to pursue his Bachelor of Science in Biology and Chemistry from West Texas State University. There, he met his wife-to-be Rachel while playing in the Lee High Band, and they were married in January of 1976 during their college years. Dr. Etheredge earned his Doctor of Dental Surgery from Baylor College of Dentistry in 1981 before returning to Midland to start practicing. He worked as an associate for the first ten years of his career before beginning a solo practice in 1991. Today, he is proud to be a member of the Boyles General Dentistry & Implant Center team! Dr. Etheredge has a grown son named Christopher and a grown daughter named Morgan. His family has also been blessed with six grandbabies named Lela, Eli, Luke, Josiah, Faith, and Carolina. He accepted Christ as his savior in 1975 and was baptized at Crestview Baptist soon after. His family is heavily involved in the church – he and his wife serve in the music ministry and also on praise teams, while their children served in music and youth leadership. They all seek to serve God and follow His will in all that they do. As believers, they covet the prayer support of their brothers and sisters in Christ. Dr. Etheredge has been blessed by God with such a wonderful family, amazing friends, excellent coworkers, and great patients! He looks forward to assisting you with all of your dental needs.